Recognised as a child prodigy despite his disability, Stevie signed with his first record label at the ripe old age of 11, and he hasn’t stopped performing since. Today, he’s most well known for his hit singles ‘Superstition’, ‘Sir Duke’ and the classic ‘I Just Called To Say I Love You’. One of the most beloved and successful entertainers today, Stevie didn’t let the fact that he was born blind stop him from learning music and becoming a world class musician, singer and songwriter. A name that has become synonymous with overcoming disability, Helen Keller was an American author, political activist and lecturer who also happened to be the first deaf and blind person to earn a college degree. She had 12 books published and is well known for her work campaigning for women’s rights and other labour rights. Helen’s story has been told through a play and movie called The Miracle Worker. 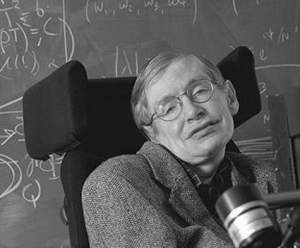 Widely considered to be one of the most brilliant minds on Earth, Stephen Hawking has become one of the most well known physicists in the world despite being diagnosed with ALS (known in Australia as MND, which stands for “Motor Neurone Disease”) when he was just 21 years old. He has been in a powerchair since the 1980s, and these days he can only speak with the assistance of a computer, but his debilitating condition certainly hasn’t stopped him from studying the universe, the framework of general relativity and quantum mechanics. You may have heard of his most famous work, his book A Brief History of Time. Most people wouldn’t expect a President of the United States to be wheelchair bound, but Franklin Delano Roosevelt was. Considered a great president who actually led his country through World War II, FDR, as he’s popularly known, contracted polio early in his political career and became paralysed from the waist down. Luckily for the United States, he didn’t let it deter him from becoming the great leader that he is remembered as today. While not exactly a global superstar, Sudha Chandran is a household name in her native India, and she certainly has a story worth sharing with the world. Following a car accident in 1981 that led to her having one of her legs amputated, she continued pursuing her dream of a career in entertainment, and taught herself how to dance using a prosthetic “Japir foot”. She succeeded, of course, and went on to become one of the most well-known dancers and TV actresses in India. Widely regarded as one of the greatest composers of music in all of history, it is almost shocking to realise that Ludwig Van Beethoven was actually deaf. Having given his first public performance as a pianist when he was just eight years old, Beethoven studied under the guidance of another great composer, Mozart, but began to lose his hearing in 1796. Refusing to give in, he continued to learn and it was while he was deaf that he composed some of his greatest works of music. The 9th Symphony, the 5th Piano Concerto and his Violin Concerto were all written despite Beethoven being completely deaf for the last 25 years or so of his life. You would think that of all things, a disability would surely end a sporting career, but American track and field athlete and marathon runner Marla Runyan has defied the odds. Despite developing Stargardt’s Disease when she was nine years old, leaving her legally blind, Marla kept her passion for running and her determination to keep on learning and improving. She went on to win multiple gold medals in the summer Paralympics in the 1990s, and in 2000 she became the first legally blind paralympian to compete in the summer Olympic games in Sydney.